The index opened positive at 8564 and stayed within a narrow range but in green only to see huge long liquidation to close near the lows of the day at 8508.70, loss of 32.70 points. The broader market was weak with 613 advances to 1020 declines. Range for the series has narrowed down to 8400-8600. Call option 8500-8600 added 10.18 lacs OI with profit booking at 8700 and above strike prices. Put option 8700-8300 added 6.60 lacs OI with profit booking at 8200 and below strike prices. 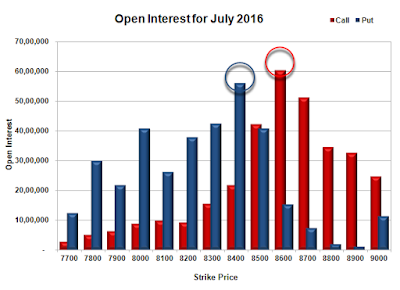 Nifty Open Interest is at 2,23,79,700 down by 1,39,725, with decrease in price, probably long liquidation. 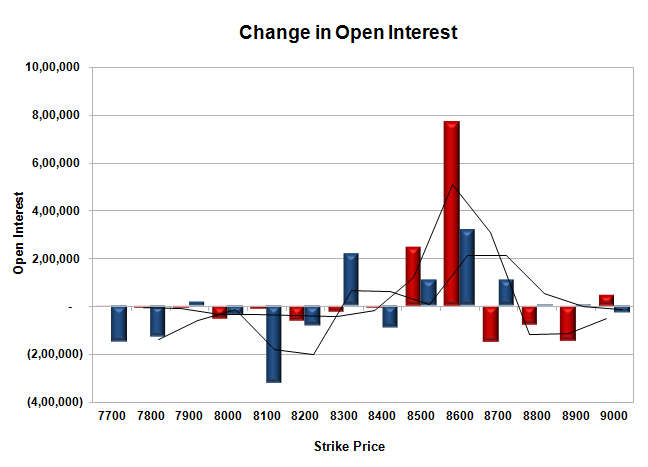 Bank Nifty Open Interest is at 23,80,640 down by 14,520, with decrease in price, probably long liquidation. FII’s bought 12774 contracts of Index Futures, which includes net 9543 contracts long build-up and 3231 contracts short covering, with increase in net OI by 6312 contracts, includes 28307 longs to 15533 shorts for the day. FII’s Index future open contract as on date is 266786 Longs to 47720 Shorts, Net long 219066 contracts. 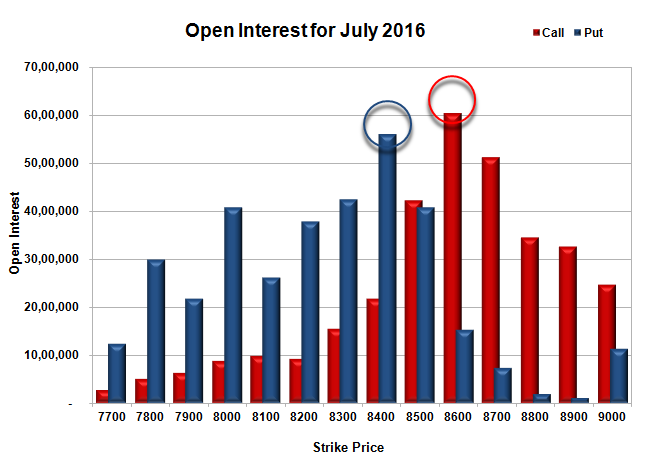 Initial support still at 8500, with OI of 40.78 lacs and below that at 8400 with OI of 56.08 lacs. 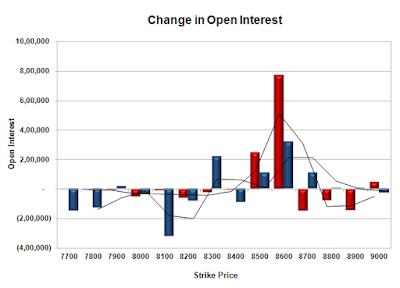 Initial and best resistance at 8600, with OI of 60.42 lacs and above that at 8700 with OI of 51.22 lacs. 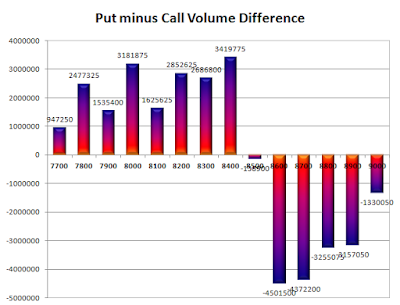 Day Range as per Option Table is 8462 - 8584 and as per VIX is 8437 - 8580 with 8530 as the Pivot.